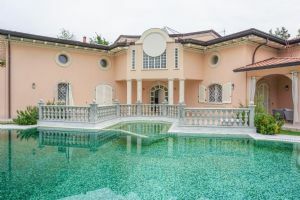 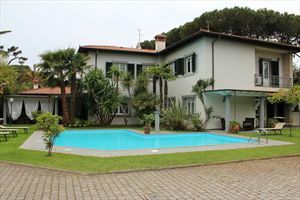 A modern, detached villa (550 m²) with a large garden (3000 m²) and a pool (14x5m) is located in a quiet area of ​​Forte dei Marmi (zone Caranna) at a distance of about 1200 meters away from the sea. 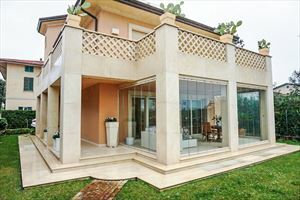 The ground floor offers a spacious double living room with fireplace and access to the terrace with outdoor furniture; dining room and modern kitchen, also with accesses to the terrace connecting the house with the pool; double bedroom with ensuite bathroom with shower; TV room. 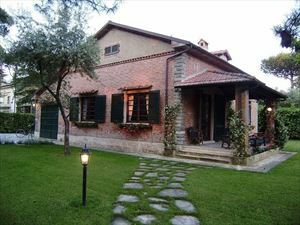 The upper floor comprises the master bedroom with a terrace and bathroom with spa bath and shower; 3 double bedrooms with private bathrooms with showers; a small storeroom. 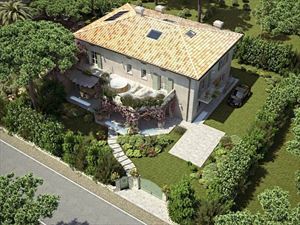 On the basement floor there is a living room with a fireplace and home cinema system; dining room, kitchen, gym, bathroom with shower, a Turkish sauna, staff bedroom with private bathroom with shower, utility room with a small kitchen for the staff and an independent exit to the garden. 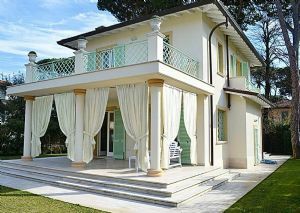 The pool is equipped with water heating system using gas or solar panels, there is also an outdoor shower. 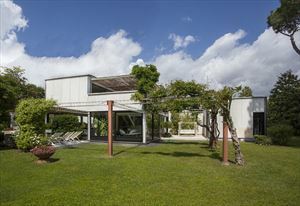 The garden features a covered parking for 2-3 cars, parking space for bicycles, barbecue. 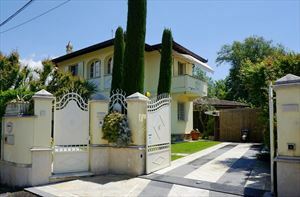 The villa is equipped with "smart home" system, volumetric and perimeter alarm system, air conditioning, underfloor heating, double glazed windows with automatic blinds, mosquito nets, video intercom, safe, air dryer in the basement, central vacuum cleaner, satellite TV, Wi-Fi, robotic lawn mower, automatic gates.